Most of the shops at Westfield Stratford City currently have a sale of some kind going on. I had originally planned to buy a bag from Zara on Sunday but didn't manage to find it in the store. 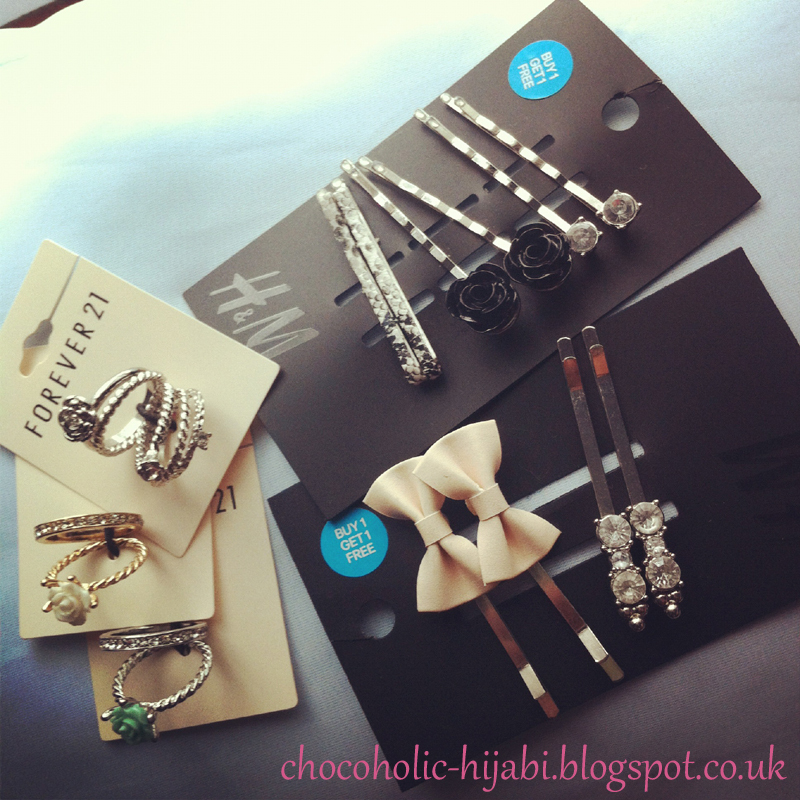 I did however, pop into Forever 21 and H&M and pick up some accessories (not that I really need anymore!). I love stackable rings, and definitely prefer wearing them over statement rings as they can be mixed and matched with different rings as well as worn individually. 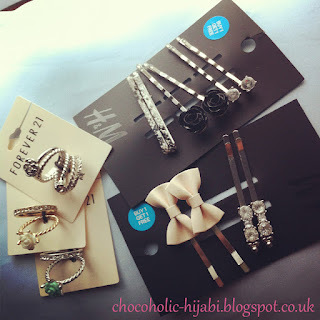 I also bought 2 sets of hair slides from H&M as there was an offer on, with some of the jewellery being buy one get one free. I picked up these two sets as I am loving the cute bows and the black rose designs. I wear these slides to secure my hijab in place on the side of my face (don't really want any sharp pins near my cheeks!). Have you bought anything from the sales? Also, what do you think of haul posts? Those are cute, and that's a really good idea to use the hair pins instead of sharp pins!